These missiles are likely intended to be fitted on the Japan Maritime Self-Defense Force (JMSDF) Aegis destroyers such as the four Kongo-class, the two Atago-class or the future two Maya-class of destroyers. The U.S. State Department approved a possible Foreign Military Sale to Japan of up to fifty-six (56) Standard Missile-3 (SM-3) Block IB missiles for an estimated cost of $1.150 billion. The Government of Japan has requested to buy up to fifty-six (56) Standard Missile-3 (SM-3) Block IB missiles. Also included are missile canisters, U.S. Government and contractor representatives’ technical assistance, engineering and logistical support services, and other related elements of logistics and program support. The estimated cost is $1.150 billion. These missile could also be deployed from the Aegis Ashore system recently procured by Japan. The U.S. Department of State approved the sale of two such batteries to Japan in January. They will be installed in Akita and Yamaguchi prefectures and are set to be operational from 2025. September 12, 2018: A Standard Missile -3 Block IB Threat Upgrade (SM-3 Blk IB TU) missile launches from the Japan destroyer, JS ATAGO (DDG-177) during Japan Flight Test Mission-05 (JFTM-05). 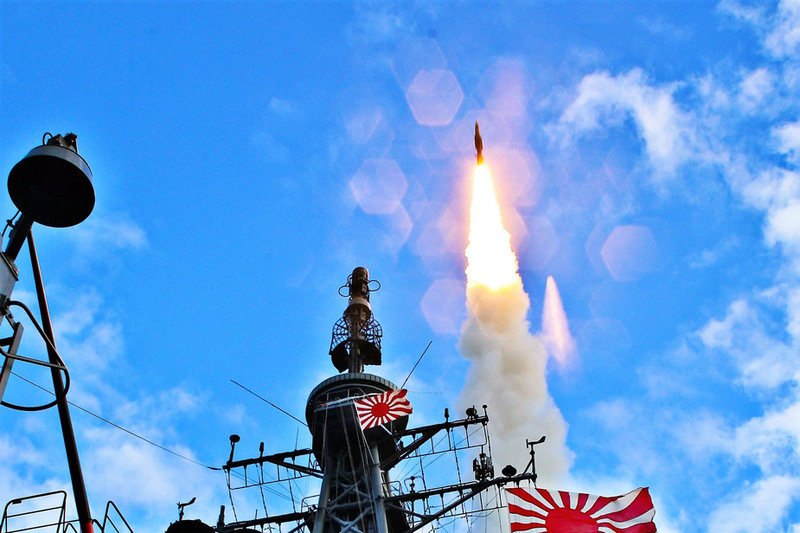 The Japan Maritime Self-Defense Force (JMSDF) and the United States Missile Defense Agency (MDA) announced the successful completion of the Aegis Ballistic Missile Defense (BMD) intercept flight test, in cooperation with the U.S. Navy, off the coast of Kauai in Hawaii. 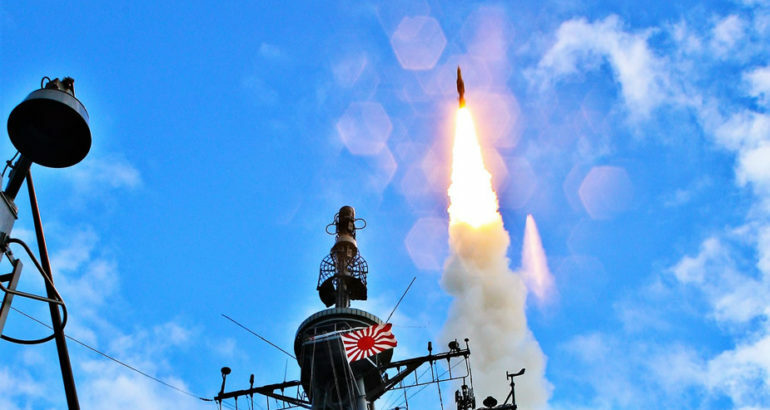 The event, designated Japan Flight Test Mission-05 (JFTM-05), was conducted in order to demonstrate a successful engagement of a target missile from the JS ATAGO using the sea-based midcourse engagement capability provided by Aegis BMD. According to its developper and manufacturer Raytheon, The SM-3 interceptor is a defensive weapon the U.S. Navy uses to destroy short- to intermediate-range ballistic missiles. The interceptor uses sheer force, rather than an explosive warhead, to destroy its target. Its “kill vehicle” hits threats with the force of a 10-ton truck traveling 600 mph. This technique, referred to as “hit-to-kill,” has been likened to intercepting a bullet with another bullet. In 2014, the Block IB variant was successfully launched for the first time from an Aegis Ashore testing site in Hawaii. 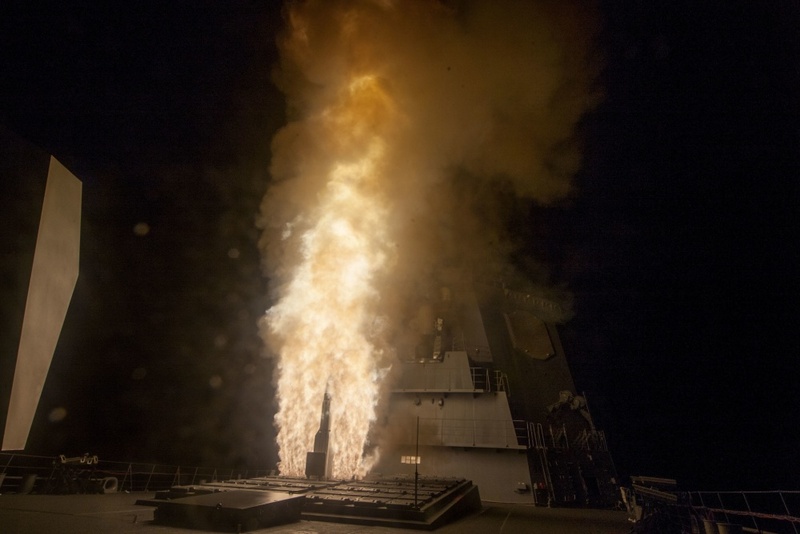 Later in the year, the missile destroyed a short-range ballistic missile target during a highly complex integrated air and missile defense exercise in the Pacific Ocean. The interceptor most recently participated in an international NATO-led exercise simulating real-life threat scenarios. Strong cooperation between allied nations and industry helps ensure readiness to defeat complex threats around the world.